The devastating effects of barbed wire on wildlife have been previously posted on this website (click HERE to view) and have recently featured on the King Parrot Creek Environment Group website. Let me state up front that I am not a farmer and have never been one. I have not experienced the vagaries of ovine or bovine mentality. Therefore, to those who run stock, the following commentary may appear naïve or biased. I do realise that to replace all the barbed wire on a property is expensive, but if you are building a new fence consider the effect that barbed wire has on the native fauna. These photographs were taken last week. They were taken on a piece of land so rocky and so steep that only a cow or sheep with a hover pack could have reached it (therefore any justification for barbed wire based on stock pushing through fences is probably invalid). 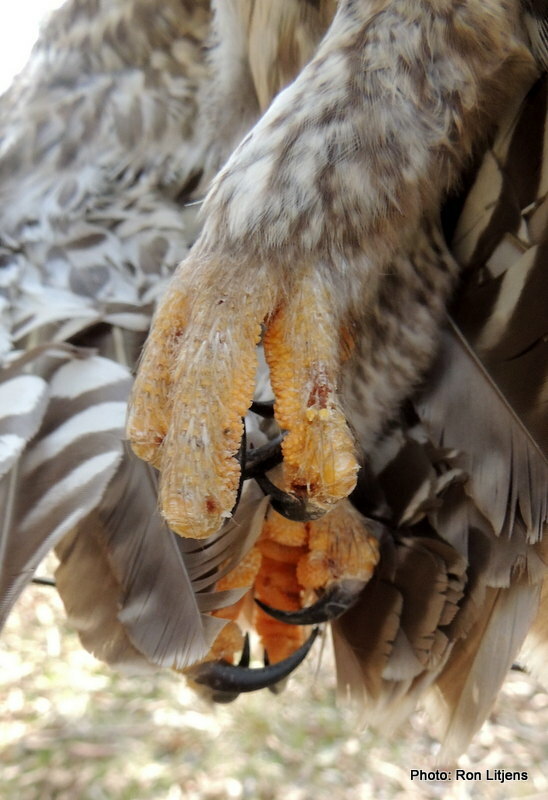 The bloodied tufts of feathers on the ground suggest that the ensnared Southern Boobook (Ninox boobook) struggled to free itself for some time, and probably died a slow and painful death from hunger or thirst or both. 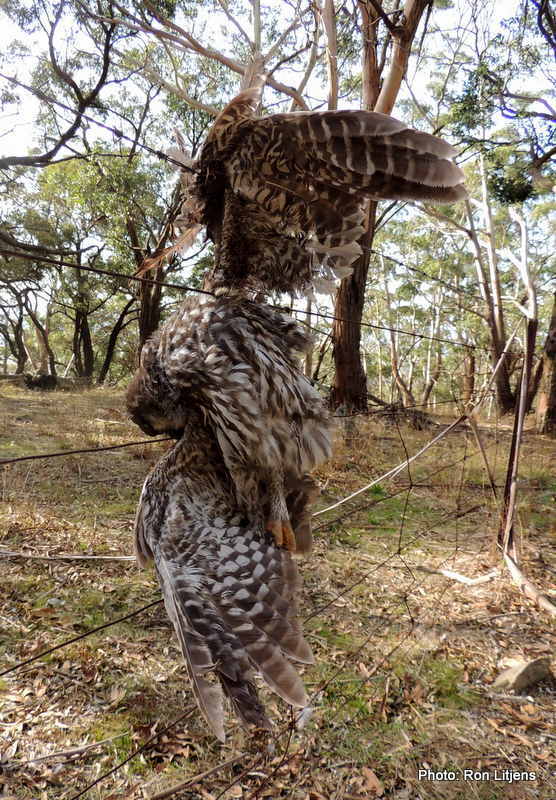 No creature, whether it be a magnificent owl or a humble moth (featured previously), deserves a death like that. The picture says it all. End of commentary. P.S. The views expressed by this author do not necessarily reflect the views of other authors on this website (although I suspect that they do). Pretty confident this image shows a Barking owl (!!!) not a southern boobook. Happy to discuss ID via email. Happy to go with your id. An owl officianado I am not.